Do you have questions about our Fronius inverter accessories, or questions about solar in general? Give us a call at 1-800-472-1142. 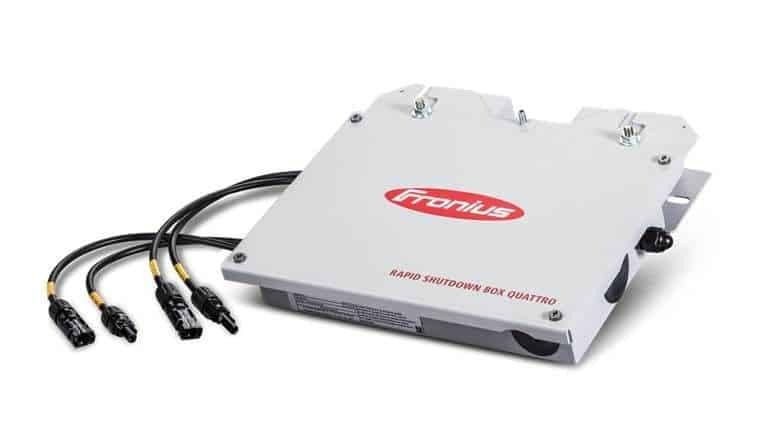 The Fronius Rapid Shutdown Box ensures NEC 2014 code compliance while enhancing rooftop and firefighter safety, quality, relability and the most seamless solution on the market.